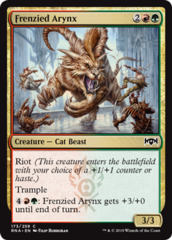 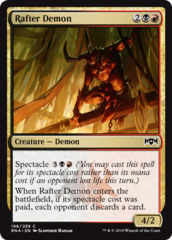 Card Text: Riot (This creature enters the battlefield with your choice of a 1+1 counter or haste.) 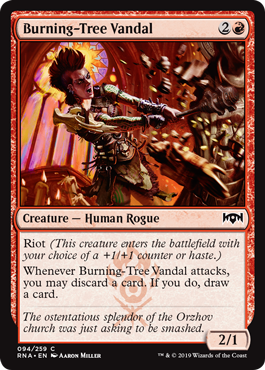 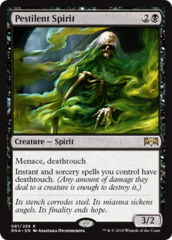 Whenever Burning-Tree Vandal attacks, you may discard a card. 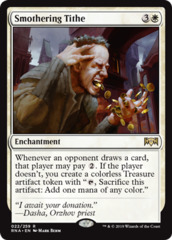 If you do, draw a card.